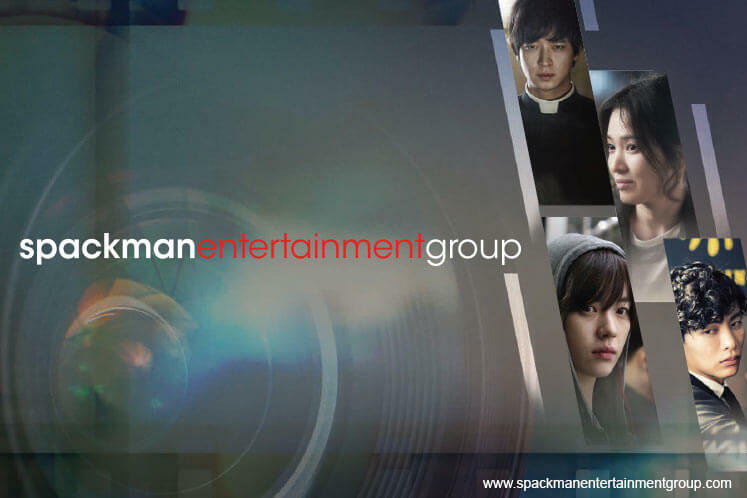 SINGAPORE (May 15): Spackman Entertainment Group reported US$5.4 million (S$7.6 million) of earnings for the 1Q ended March 31, reversing from its US$1 million net loss position in the same quarter a year ago on higher revenue. The group also announced that its profit before tax of US$5.5 million is the highest to be recorded since its initial public offering. Revenue for the quarter was US$8 million, double the US$3.9 million reported last year due to growth in revenue from the production of films, as well as the distribution of films and others. The former segment was primarily attributable to the group’s upcoming film, Golden Slumber, which is produced by the group’s wholly-owned subsidiary Zip Cinema and which generated US$3.1 million of revenue. The latter, also produced by Zip Cinema, was due to the US$3.5 million recognition of the group’s share of profit for producing Master, which grossed over US$50.4 million in South Korean. Other income went up 50.4% on-year to US$3.2 million from US$2 million previously, mainly due to a gain of US$3 million on the partial disposal of the group’s 26.2%-owned associated company, Spackman Media Group, as part of payment for the group’s acquisition of a 100% equity interest in Frame Pictures. With the absence of expenses incurred from the distribution of profit on film to external investors in 1Q16, other expenses for the current quarter fell 96.3% to US$0.03 million as compared to US$0.7 million a year ago. Charles Spackman, executive chairman and CEO, notes 1Q17 as a significant turning point for the group as it is now in the “best financial position that it has ever been since its establishment”. “After having shed our loss-making divisions last year, we are gaining momentum towards a more consistent and stable operating platform… From this point onwards, we plan to move aggressively in deploying and investing our capital to sustain this current momentum and pursue further avenues of growth,” he adds. Looking ahead, Spackman says it will continue to seek opportunities to closely partner with Spackman Media Group in creating and participating in content projects, as well as making strategic investments in growth businesses that have the potential to collaborate. Shares of Spackman closed flat at 16 Singapore cents on Friday.